Pursho Inventory Management App is an Android App for tracking product levels. Using the app you can check the stock and track inventory. Check to see what products are available or running low. - Easily manage Company inventory and billing. - Add or remove new records in just few clicks. - Generate Ledger report, Sales/purchase order report, and other similar business reports. - Easy to use & attractive GUI interface. We offer Barcode Software which is very useful for successfully maintaining production records and packaging details. In the manufacturing industry, bar code stickers are also printed for various items and pasted on cartons/products during manufacturing stage that helps in easing out packaging details. - Item Master, Item Category Mater. - Vendor Details/ Vendor Item Details. - Customer details/ Customer Item details. - There is no need of thermal stationery if laser printer is used. 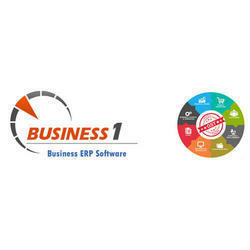 Inventory Management Software Rs 15000/- with customization available. Inventory software is designed specially to meet the requirements of small and medium sized enterprises (SME). Our Inventory software is an intuitive, easy to use, robust, multi-user inventory business management system and accounting software that includes inventory, customer management, vendor management, and comes with extensive reporting.